...that it is just not possible to, work, be a carer, diet, go to the gym, read my favourite books AND craft or blog! So far I have lost one stone, 10" in total and an jogging three times a week on treadmill doing bouts of 10 minstrel jog 1 min walk, last session I did 32 minstrel walking only 2x 1min, I then did a bit more and finished with a sprint. Loving being back at the gym and feeling healthy and fitter again, but as I said some things have got to give. 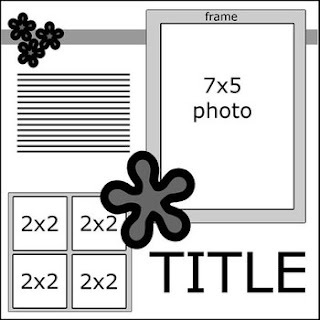 So in the mean time I leave you with a sketch I drew when I was a member of Pencil Lines Sketch blog, and the layout is did for it. 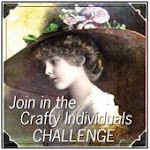 Apologies for not posting, crafting or visiting your amazing Blogs. I shall resume at some point when I have more time back. I blame my friends over at the The House of Bears showing off with their new coffee machine (I had actually been looking at new coffee machines for a while but never with the intention of getting one), and I decided it was time to replace my Tassimo machine for something that I could get coffee more easily for and to decide myself which exact coffee to use instead of the pre podded ones. Now...what shall I make next? 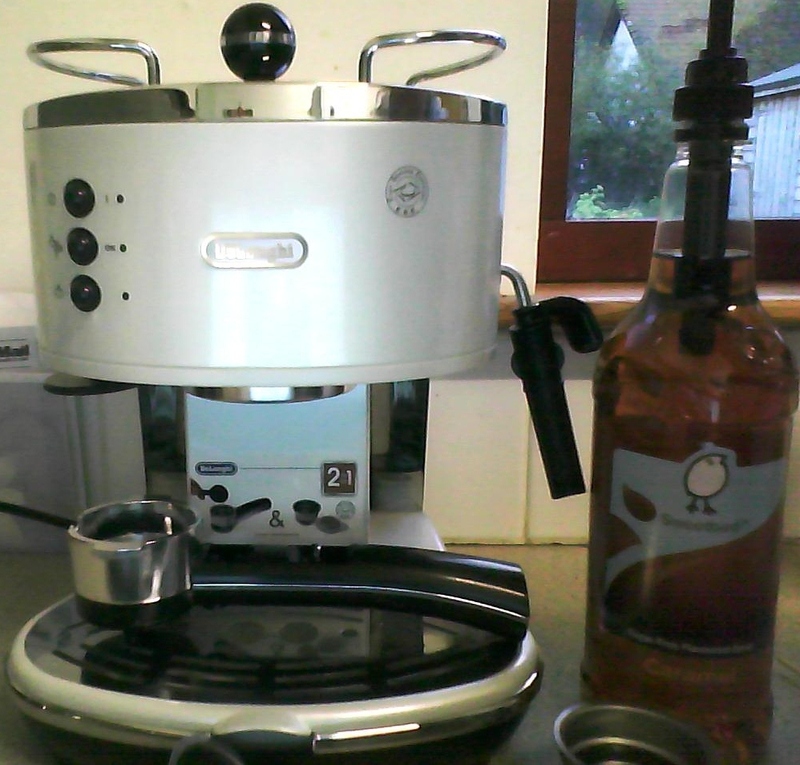 I suppose my next purchase will need to be decaff coffee for it as i can't sleep at night if I have coffee after 6pm! I received a lovely text message from a close friend last night telling me that I was top 3 for the Dragons Dream blog challenge with my tag 'Misty autumn glaze' - how chuffed was I? Thank you so much I really did not expect that and was a very welcome suprise. This photo started off as a tag on its own for my lovely friends over at The House of Bears (this is the funniest blog I know off, the bears and what antics they get up too!) 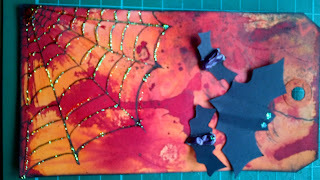 and the challenge set to include at least two of the following: Bats, Decay and dripping blood, I managed to get the gorey looking drippng blood and the bats, but didn't quite do decay lol. 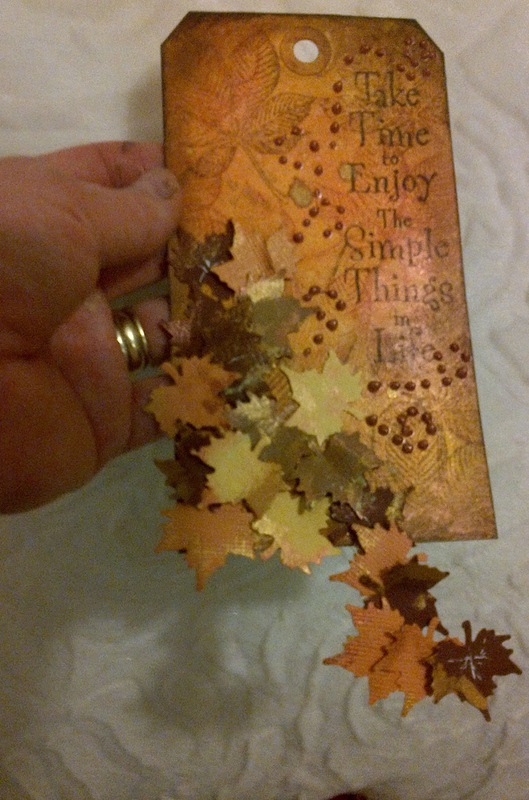 As you may have seen from the last post, I did this and made a mess of it, so ripped bits off and remade it into a card for my daughter birthday. 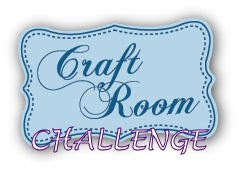 Must now go and make my next tag for the lovely Dragons, I did make one for the last challenge, just didn't get the time to upload it. This will not do! That is of course if anyone's even reading this lol. I'm afraid life is rather getting in the way of any crafting, blogging or even free time. I'd like to say normal service will resume soon but unfortunately I cannot make such rash promises. This tag started off great...Then I ruined it by drawing an awful spider on it, I then cut out bats and used puff paint for bodies...hideous! Ripped them off, made better smaller bats, made a matching card and stuck this on the front for my daughters birthday card, unfortunately I forgot to take a picture of the better tag...doh! Two Blogs in two days wow, almost as good as my reading. I adore curling up with a good book, but being a busy working mum and full time carer I don't usually get much time, but recently I went mad with two books in14 days and one before that in just under 2 weeks. When I fling myself into something I tend to leave everything else to one side, so for last week while I've done no crafting at all. I am so trying to loose weight (8lb so far) so cooking taking up lots of my time these days, just not enough of me to go about! 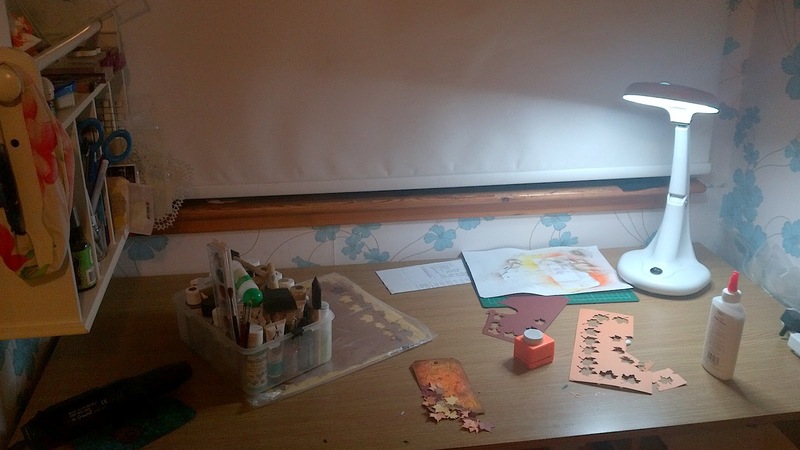 I did however rush to make the tag for Dragons Dream blog challenge, at the last minute and the desk is me finishing up (look its tidy!!!) I'm now off for a little blog hope around the world nosing at other people's desks, workrooms and projects over at Julia's blog, click the button WOYWW at the side to join me if you've not just come from there. Gosh! Where have I been? I haven't been about much lately, been kept busy between work, caring for DH and last week attending a local book festival. 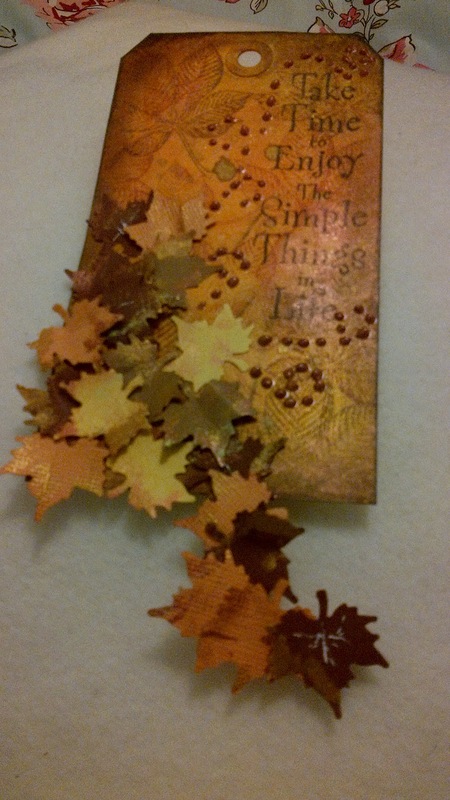 I've done no crafting what so ever, maybe my mono got tidied up or binned with the massive clear out I had?! What I have been doing is loosing weight and reading :) I read Room in less than a week, which for me is a miracle, as I'm usually months at a time at a book, and I'm already half way through The Snow Child, one of Richard and Judy book club reads, I only started that a few days ago, so it seems I can't do everything at once, craft, or read? It'll only become worse when I try and add getting back to the gym into the mix! I was one of the original members of Pencil Lines (sketch blog)design team and a scrapbooking supplies shop Suprise Supplies. 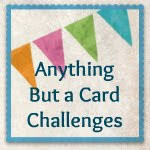 A very sporadic blogger who loves all things crafty, baking and books. My main passion is papercracrafting,things from vingage, steampunk, shabby chic to pink and glittery. Baking, I'm more of a cakes and bakes kinda girl as opposed to savory treats. Books, I'm not well read, but I do love to get lost in a good book. I think I must need my head examined!